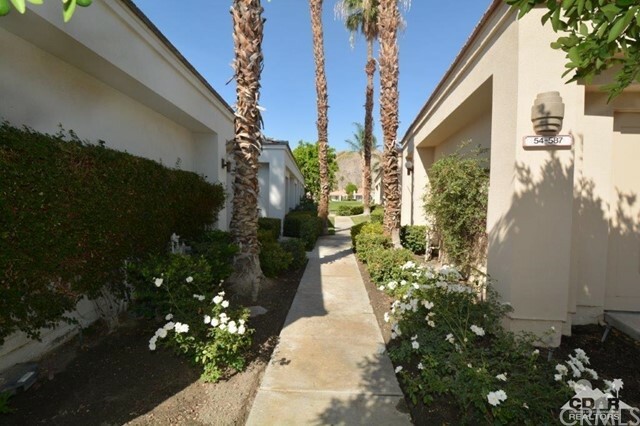 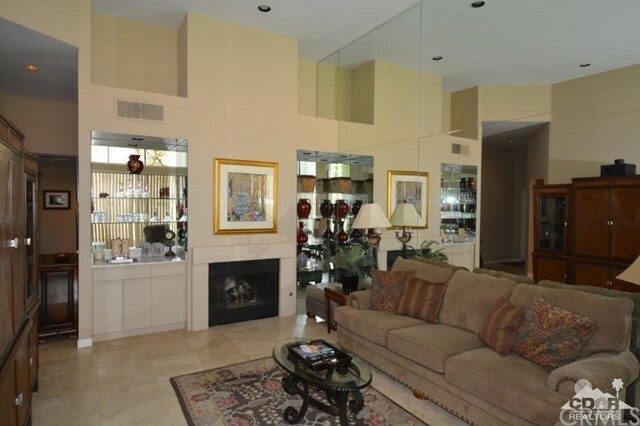 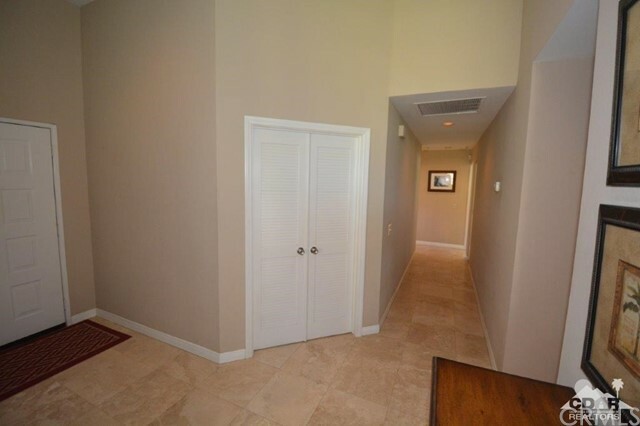 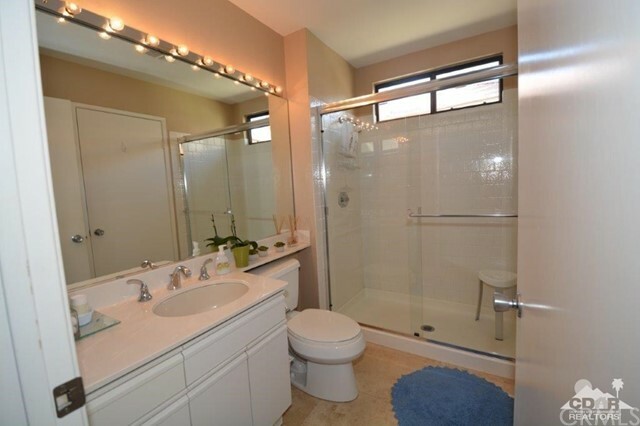 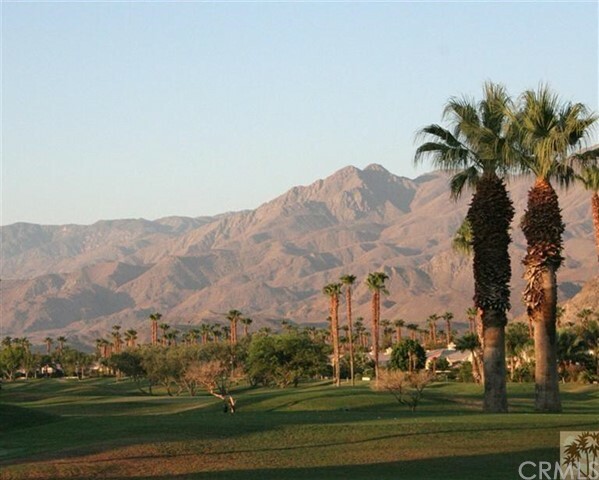 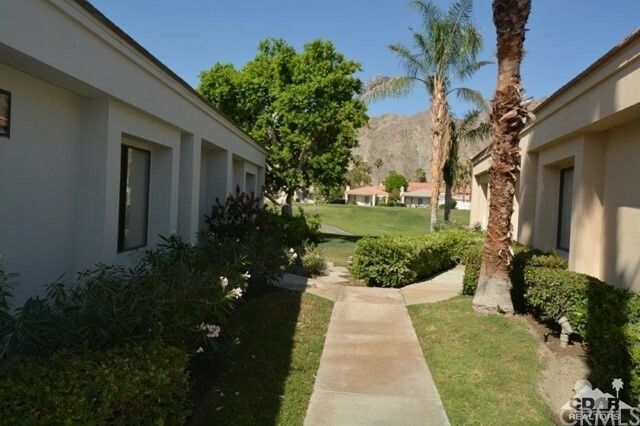 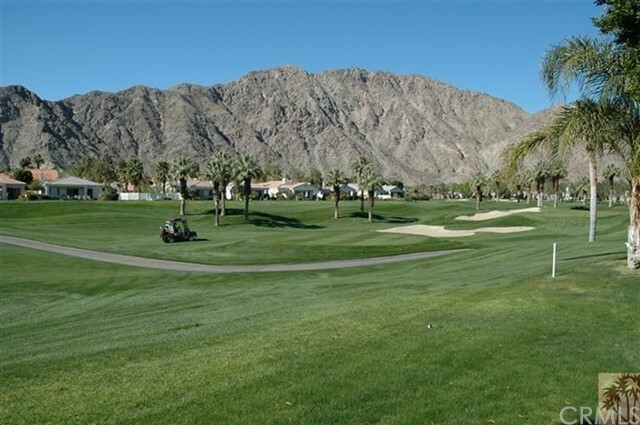 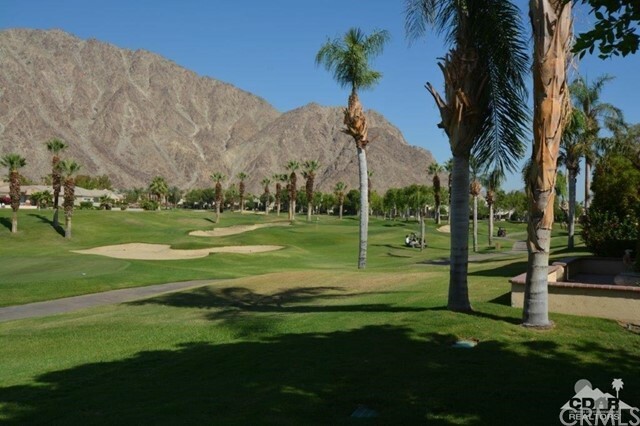 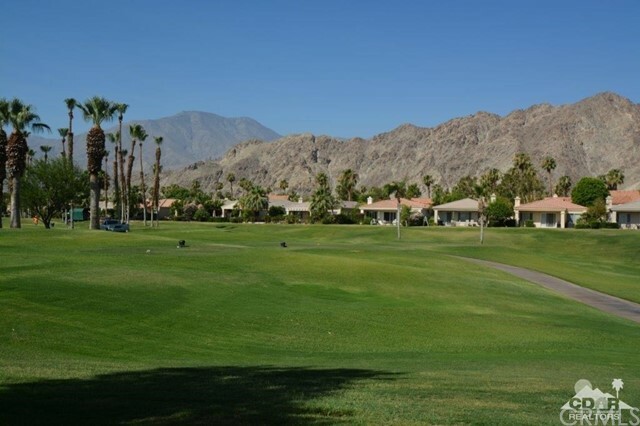 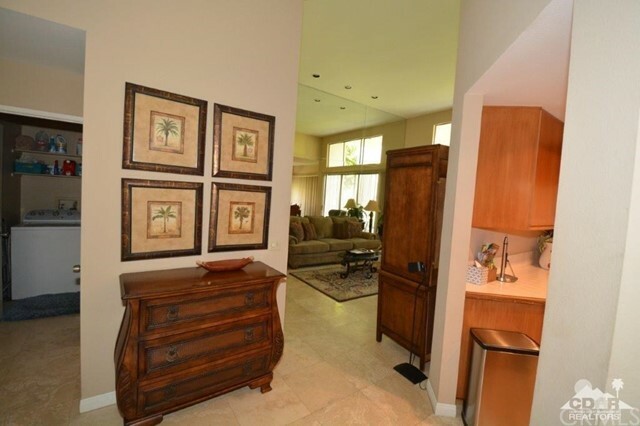 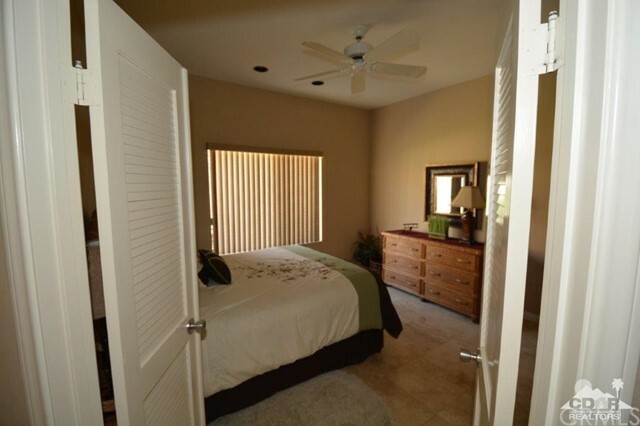 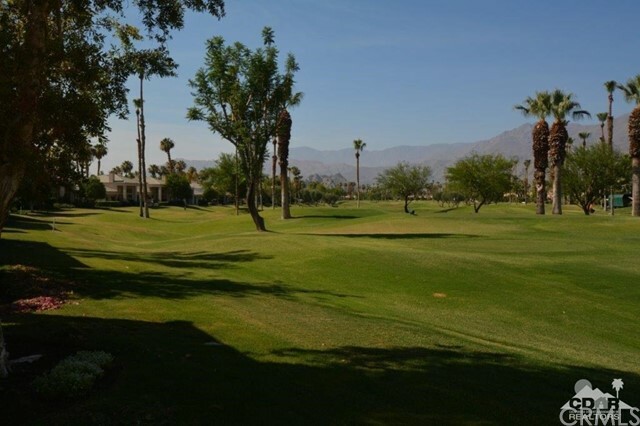 This Champion 3 condo has a 10 location for golf and Santa Rosa Mountain Views. 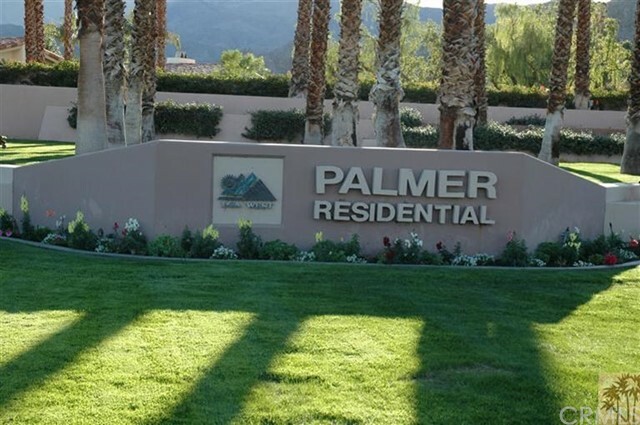 Palmer Private #3 green. 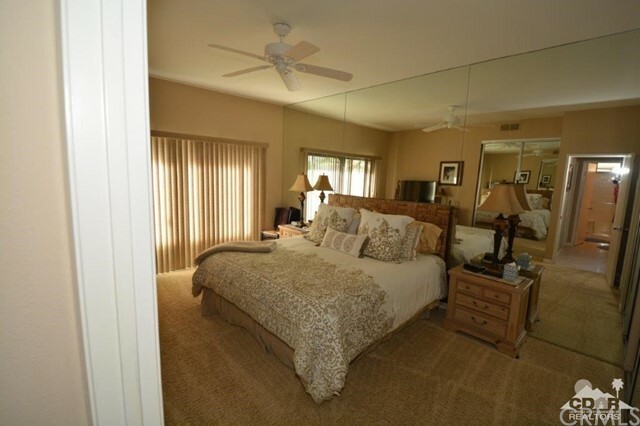 Champion 3 floor plan, 1627 sft. 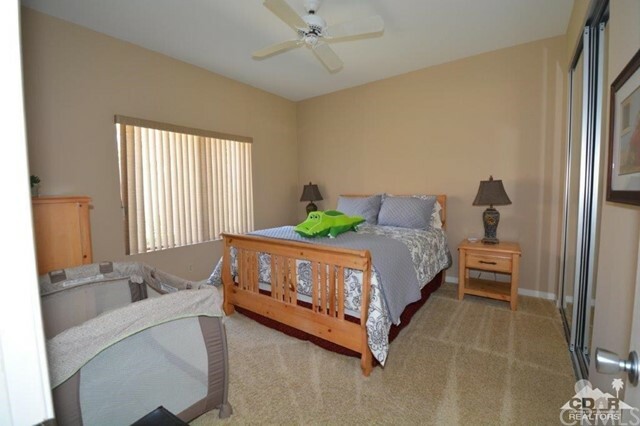 has 3 bedrooms, 2 bath. 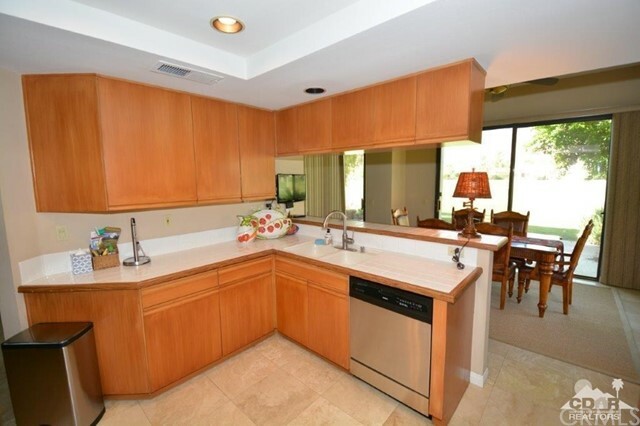 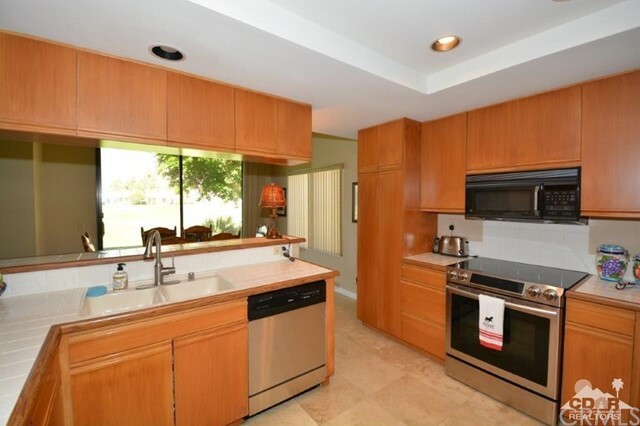 Travertine floors, upgraded kitchen with new stove, dishwasher and refrigerator, washer and dryer. 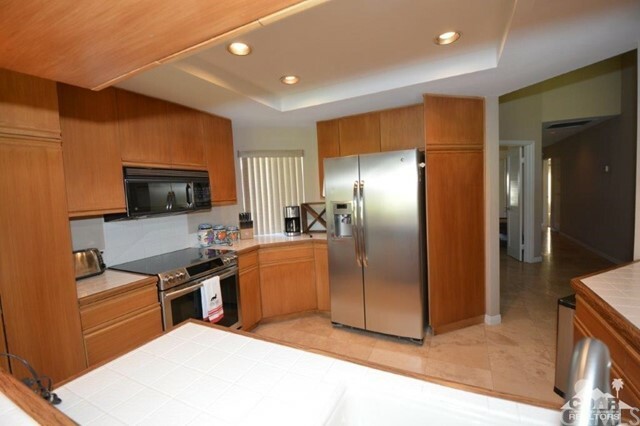 (New HVAC & water heater.) 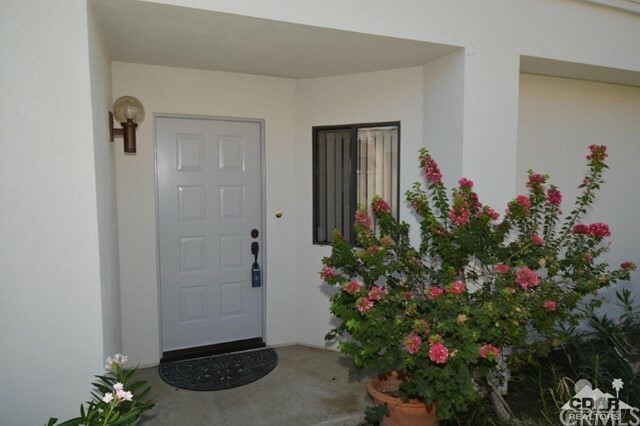 Garage door replaced with new roll-up type. 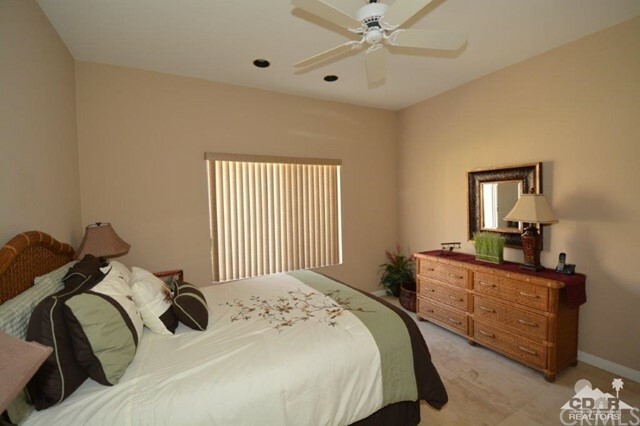 Newer and nice furnishings. 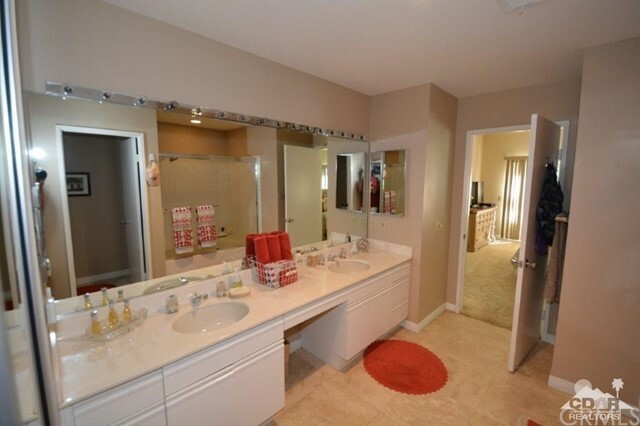 Swimming pool is just a few condos away. 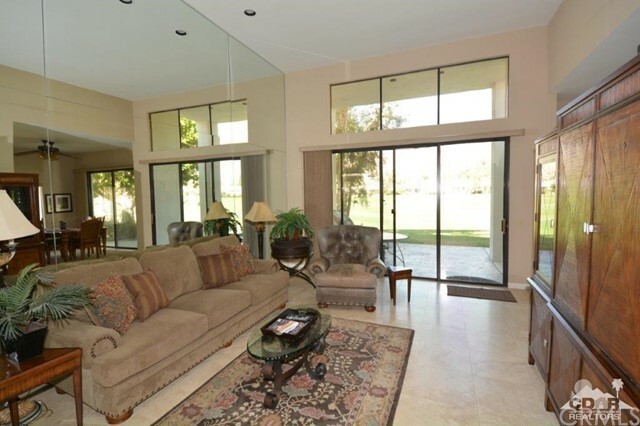 This is the perfect golf home for sun and fun. 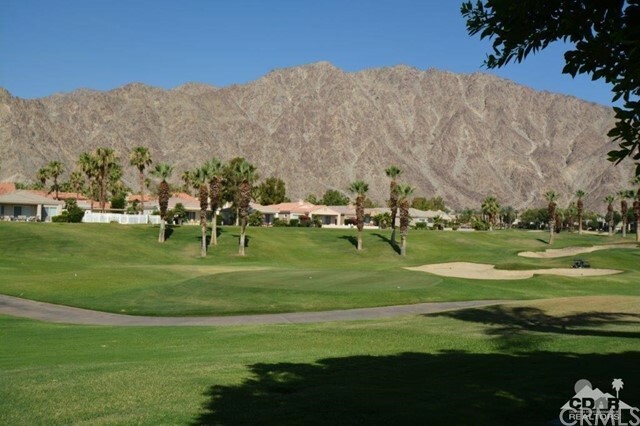 Golf and Social memberships are available. 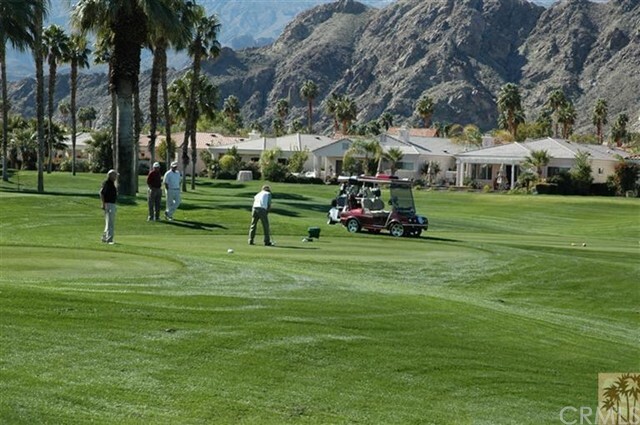 The views throughout PGA West are spectacular. 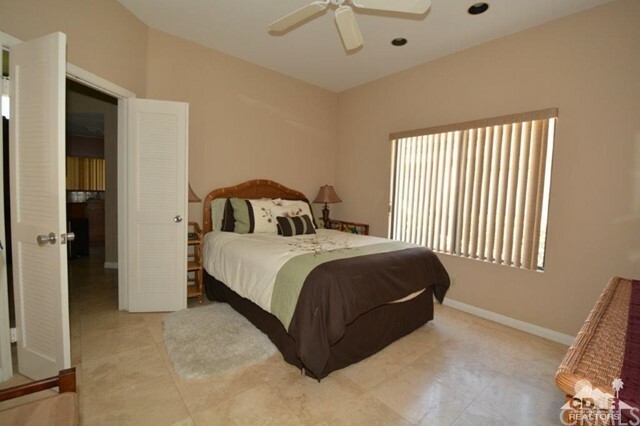 Turnkey furnished and ready to move in & enjoy.